About Shirley Handy - A true teacher's teacher, Shirley is known internationally for her highly acclaimed, practical and exceedingly informative workshops. This dynamic and motivating presenter has trained tens of thousands of educators in research and the practical application of the learning theories that are the foundations of successful and authentic learning. A true teacher's teacher, Shirley is known internationally for her highly acclaimed, practical and exceedingly informative workshops. This dynamic and motivating presenter has trained tens of thousands of educators in research and the practical application of the learning theories that are the foundations of successful and authentic learning. Shirley often introduces herself as a teacher, having taught everything from university up through kindergarten, and in fact, she has. 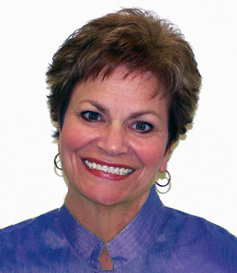 With extensive teaching experience spanning elementary classrooms, special education, speech and language pathology, in-service training, consulting and college instruction, Shirley is considered to be a national leader in language and literacy acquisition, child development, and the implementation of learning theory. Her unique program involving, reading, writing, music and movement, is a favorite at major national conferences. The author of several teacher guides including: The Language Link, The Singing-Reading Connection - Putting Theory into Practice and Teaching with the Brain in Mind - A Practical Guide, Shirley continues to be actively involved in current educational research and the development of curriculum and teacher support materials. In 1989, Shirley began collaboration with beloved children's entertainer, Raffi, creating The Singing-Reading Connection™ workshops and materials. This joint effort continues, with a commitment to demonstrating the high utility of music and movement in a brain-friendly and developmentally appropriate learning environment.